Four years ago, when President Barack Obama became the first person of colour to be elected as the president of the US, the world was hopeful that a lasting change would come along. We all know how that turned out but there are still some positives from that election and the current election, where President Obama was re-elected, which have shaped and will continue to shape domestic politics in the US. People are less divided across race and gender lines and vote on social issues; these lessons provide an example for other countries. However, an Obama-like victory for any individual is next to impossible in Pakistan. For starters, the middle class that played a key role in bringing this political change in the US, is limited to a few big cities (mostly Karachi and to some extent Lahore, Faisalabad, Sialkot and Hyderabad) and it is fast shrinking given the energy crisis and economic woes of the country. In addition, our politics is caste/clan/ethnicity-based. The election result of February 2008 is a clear indication of that trend. The PML-N with its Punjabi leadership did well in upper and central Punjab. The PPP with its Sindhi leadership did well in rural Sindh and the Seraiki belt. Pashtuns voted for their nationalist party, the ANP, and urban Sindh remained loyal to the MQM. Chances are that the new elections, expected to be held in the first half of 2013, would be more divisive as more actors of the same hue have entered the political arena. Pakistan, perhaps, is the only country where democracy, tribalism and feudalism have coexisted and still continue to coexist. Our parliament looks more like a national jirga council, where most of the elected representatives are tribal and feudal heads with fairly dubious histories. More often than not, they try to stall any progressive legislation with impunity and pride, usually in the name of religion and culture. The American people moved away from centre right politics to centre left politics when they voted for President Obama back in 2008 and again in 2012. There is no chance of that happening ever in Pakistan. To begin with, we don’t have a middle class big enough in numbers and the urban population is too attached to religion to embrace anything different. 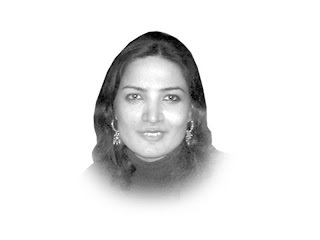 A country where original thought is shunned and a parliamentarian had to remain in hiding after proposing changes to the blasphemy law has a long way to go before it starts hoping for change. In a country suffering from the worst leadership crisis of its history, religious obscurantism is at its peak, the education system has failed and the youth is apathetic; the only change that can be predicted is more chaos, unless we produce a leadership that gives the whole nation a chance to hope, like President Obama did in 2008. Unfortunately, we do not have the system to produce someone like him. With an absentee foreign father and a family with meagre finances, Obama was able to attend an Ivy League school on the basis of merit and finished his degree with the help of student loans. Sadly, that’s not the case in Pakistan. Forget admission of a poor kid to an elite school, we do not provide a level playing field to our children in the same family as most families prefer to spend more money on the education of the male child. In such circumstances, we want to remain tied to a distant past. Should we even have the impunity to hope for a better tomorrow?